Slice baguette on the bias and toss with half of the olive oil. Toast the bread in the oven for 10 minutes at 375° or until golden brown. Mix together sliced basil leaves, tomatoes, steelhead, garlic, and olive oil. Season to taste. 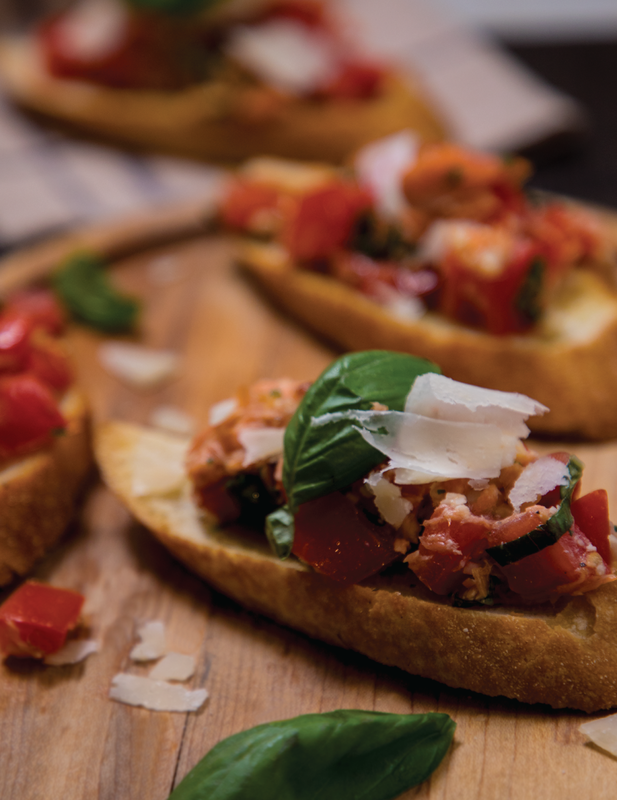 Add a generous serving of the mixture to baguette slices and garnish with fresh shaved parmesan and whole basil leaves. Enjoy!